A plan set in motion by three European transmission system operators (TSO) aims to develop mammoth offshore wind farm infrastructure in the North Sea supported by at least one manmade island. First unveiled in June 2016, plans for the North Sea Wind Power Hub project will now press ahead to develop a large offshore renewable European electricity system following the signing of a trilateral agreement by TenneT TSO B.V. (Netherlands), Energinet.dk (Denmark) and TenneT TSO GmbH (Germany) in Brussels on March 23, 2017. Central to the plan is the construction of one or more islands in the shallow water Dogger Bank section of the North Sea where wind conditions are optimal. 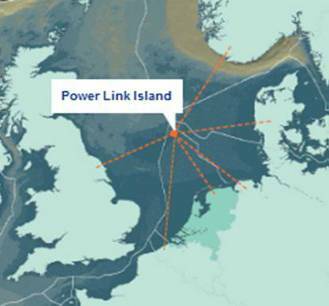 The so-called Power Link Islands would be linked to many wind farms (potentially up to 70,000 MW to 100,000 MW) and distribute generated wind energy transmitted over direct current lines to the Netherlands, Denmark, Germany, Great Britain, Norway and Belgium. Additionally, transmission cables would simultaneously function as interconnectors between the energy markets of the aforementioned countries. And besides transmitting wind electricity to the connected countries, these wind connectors would enable the countries to trade electricity. 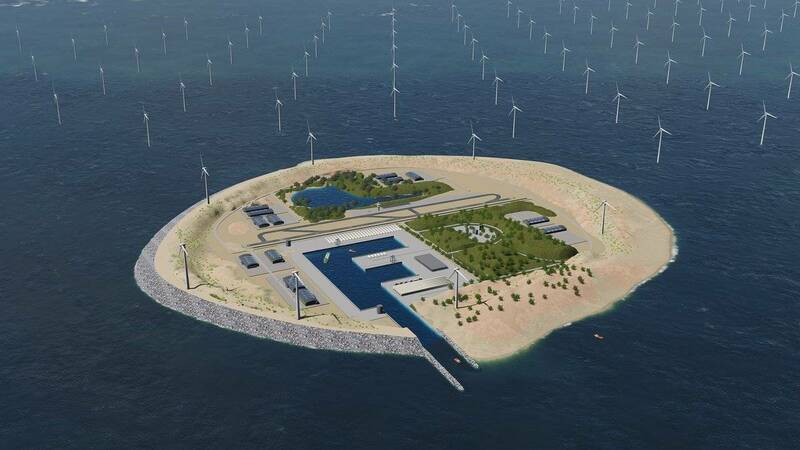 According to the developers, the Power Link islands in the middle of the North Sea offer “everything necessary to make offshore wind energy a success.” The Power Links way out at sea will enable far-shore to become near shore, reducing costs and creating economies of scale. Staff, components and assembly workshops can be stationed on the island, thus optimizing and simplifying complex offshore logistics. 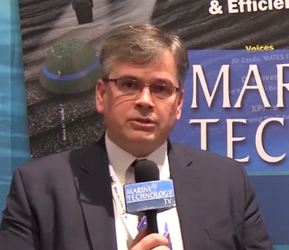 Discussions with other potential partners are ongoing, and not only include other North Sea TSOs (high-voltage grid operators), but also other infrastructure companies, TenneT said. The goal: achieve a multiparty consortium which will realize the North Sea Wind Power Hub project.